Phone charges could get fairer. Having your mobile stolen can be a distressing experience and it's all the worse if the thief then racks up a massive bill that you're left to pay. But the days of unexpected phone bills could soon be in the past, as EE, Three, Virgin Media and Vodafone have made an agreement with the government to cap the amount that customers would have to pay for phone calls made when their handset is stolen. There's no confirmation yet on what that cap will actually be, but early suggestions are that it will be around £50 - much like the current liability cap on stolen debit and credit cards. This is expected to come into place in spring 2014 and alongside it the same four firms plus BT, Talk Talk and Sky have also agreed to warn customers about mid-contract price hikes and give them the option of breaking the contract without penalty if they'd rather not pay the extra. 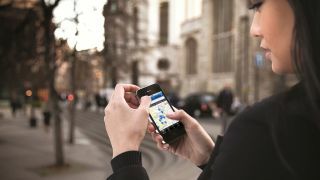 Update: O2 is the obvious absentee from the list of networks, but a spokesperson at the bubbly carrier has told TechRadar "we welcome any measures that improve transparency, clarity and fairness in consumer contracts. "However one area of the Government's announcement relates to Ofcom's recently published guidance on 'price rises in fixed term contracts'. We need clarity on what the guidance means for us and our customers before we can sign up to all the commitments referred to by Government and we have been unable to obtain such clarity from Government or Ofcom at the time of this publication." Culture Secretary Maria Miller announced the plans, stating that: "Families can be left struggling if carefully planned budgets are blown away by unexpected bills from a stolen mobile or a mid-contract price rise. "This agreement with the telecoms companies will deliver real benefits to consumers and help ensure people are not hit with shock bills." Looking further ahead, EE, Three, Virgin Media and Vodafone have also pledged to help the government eliminate roaming charges in the EU by 2016, paving the way to a more affordable mobile future. This isn't the only project EE's been working up. The network's also been making real strides with 4G.